Continually monitor the performance of your Google Functions execution in real-time to observe trends, troubleshoot and fix issues before they impact users. 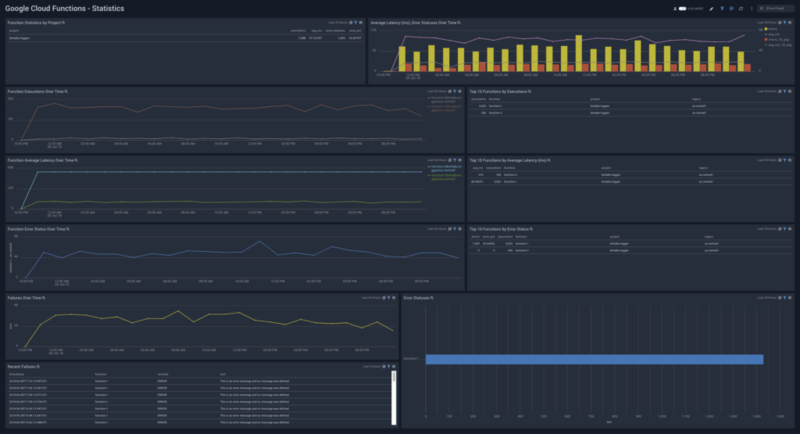 Customized dashboards and metrics highlighting trends over time and outliers for critical cloud function executions, average latency and error status over time. Provide the best user experience on your cloud functions by proactively resolving issues relating to latency and performance, and regulate and maintain compliance and security. The Google Cloud Functions dashboard overview is pre-configured to help you visualize daily executions including: execution by status, execution outliers by function, and the top 10 functions by executions, average latency and error status. 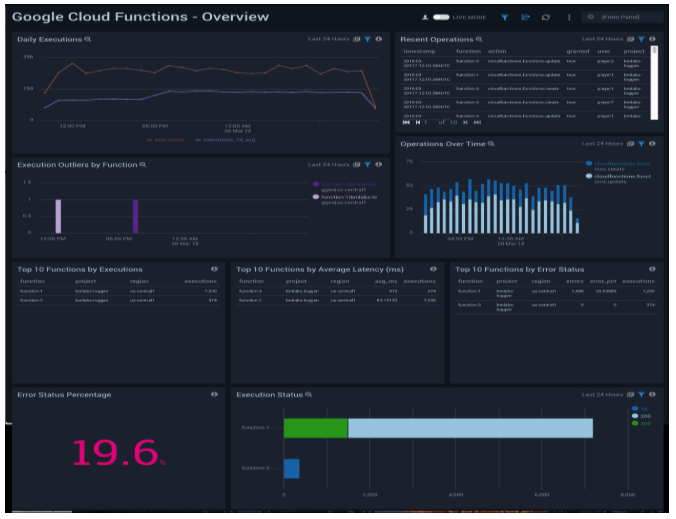 The Google Cloud Functions Statistics Dashboard provides granular statistical summaries of function executions, latency, errors and failures over time or in a given period of time. 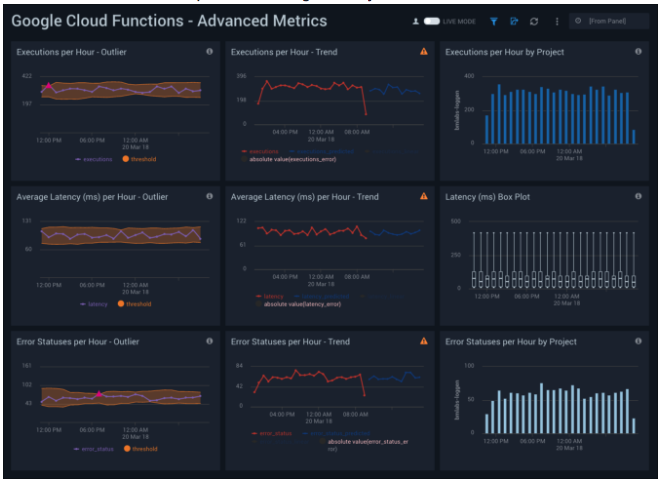 The Google Cloud Functions Advanced Metrics Dashboard visualizes trends over time and outliers for executions per hour and average latency over time.